One of the coziest things about the temps dropping is how much more of a cocoon your bedroom becomes. Turning in early with a mug of something warm and lazy weekends nestled amongst comforters—these are the things the best winter days are made of. Our bedrooms certainly function as a respite from the cold in the winter, but they also, to state the obvious, provide us with a resting place. And this is a role perhaps most crucial during the time of year when it’s easy to get run down and sicknesses spread like wildfire. This weekend we’re going to make our bedrooms the best havens they can be, whether for escape or utility. Nothing kills peaceful rest like the thrum of anxiety caused by clutter. Get everything that doesn’t belong in the bedroom out, and put everything that’s out of place in the bedroom away. Try the “make and pile” method if you’re stuck. Wash the curtains, dust the ceiling fan, vacuum under the bed, the whole shebang. As always, clean top to bottom and don’t forget the details like polishing wood furniture and cleaning the glass in picture frames. Take off your current linens and address what’s under them. Clean your mattress by vacuuming it, spot cleaning it, deodorizing it, and airing it out for a bit. Wash your pillows or at least fluff them in a hot dryer to reduce dust mite allergen. If your mattress is a spring mattress, flip and/or rotate it. 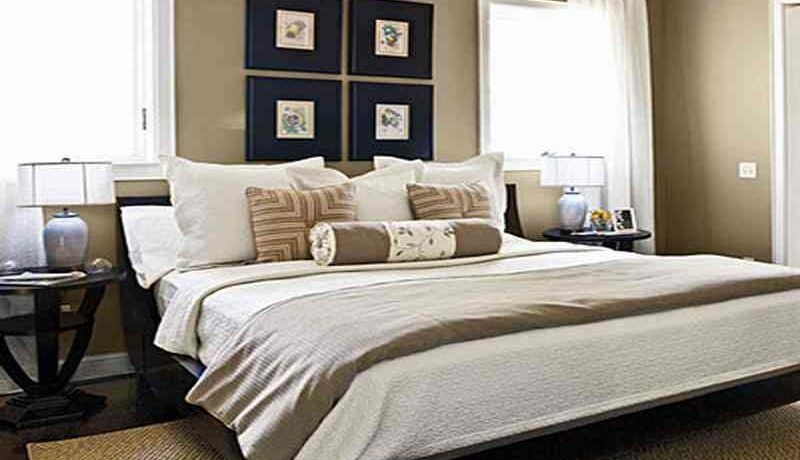 Now is the time to swap the percale for the flannel and put the down comforter in the duvet cover. Wash your comforter if it needs it. If you’re a millennial who goes top sheet-less, mind these tips for keeping clean without a top sheet. Now it’s time for the fun stuff. Maybe you’ll add a couple fluffy pillows to make in-bed movie nights extra nest-like, or a luscious knit throw draped across the foot of the bed. A warm robe is like an extension of your bedroom when you have to venture outside of it, and a faux sheepskin rug makes the thought of dipping your toes into the frigid morning bearable. When you’re done, you’ll have a bedroom den that will not only support the rest you need but will make you wish hibernation could be a human thing.